Weinheim (Germany), September 10, 2018. Growing acceptance of electronic powertrains and electric vehicles is driving unprecedented technology changes in the automotive industry. At this year’s Battery Show North America, taking place September 11-13 in Novi, Michigan, Freudenberg will present a broad portfolio of products and solutions that improve the safety, quality and long-term reliability of electric motors and batteries at booth 1205. The company’s technology partner, XALT Energy, will also display lithium-ion battery cells, modules and systems for the automotive industry and industrial applications at booth 1501. Freudenberg has already successfully prepared itself for this change through an extensive product and solution portfolio for battery safety and efficiency, which will be presented at booth 1205 at Battery Show North America. Freudenberg-NOK Sealing Technologies, which runs the business operations of Freudenberg Sealing Technologies in the Americas, will show components for battery thermal management, such as fixing elements for pouch cells, the DIAvent pressure compensation element and an innovative heat shield that prevents a single defective cell from overheating an entire battery module. The Simmerring® Shaft Seal with electrically conductive fleece will also be presented. It reliably seals while safely dissipating the drive shaft’s electrical charge, often generated by electric motors, to the housing. The company’s products for lithium-ion batteries will also be on display. These will include gas diffusion layers and seals for fuel cells, flat gaskets and two-component plug & seals. The products often serve to reduce system weight in electric vehicles and enable complex sealing geometries as well as chemical bonding of hard and soft materials in leak prevention components. Another exhibition highlight at booth 1205 will be a ceramic impregnated separator with an ultra-thin polyester nonwoven framework from Freudenberg Performance Materials. In contrast to conventional membranes such as polyolefin films, the safety separator remains stable and resists shrinkage even at extremely high temperatures of up to several hundred degrees Celsius. Ceramic impregnation ensures that the separator’s porosity is maintained during high temperature exposure. It is also significantly less sensitive to mechanical stress in battery applications than conventional products. XALT Energy, Freudenberg’s technology partner, will be presenting several energy storage solutions at the show at booth 1501. 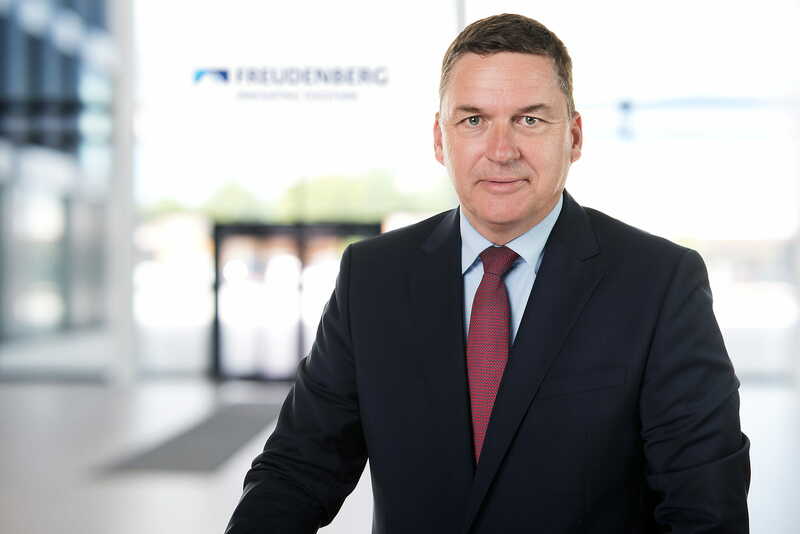 In February this year, Freudenberg Sealing Technologies acquired a minority interest in the American company. XALT Energy, based in Midland, Michigan, manufactures several formats of lithium-ion cells, battery packs and battery systems for use in medium to heavy commercial vehicles, city and transit buses, the marine industry, the rail industry and other industrial applications. Freudenberg Sealing Technologies also acquired parts of the fuel cell manufacturer Elcore in Germany earlier this year. These business activities were merged in a newly founded Battery and Fuel Cell division within the company. “This lets us make the best possible use of our company’s resources for these products, rapidly expanding and developing our business activities in the long term,” said Moehlenkamp. More information on Freudenberg Sealing Technologies’ battery and fuel cell activities can be found at here. Details on XALT Energy’s products and solutions are available here. The Battery Show North America 2018 will take place the Suburban Collection Showplace. Freudenberg’s E-Mobility experts will be on hand at booth 1205 to discuss the company’s technologies and products.